Although, the basic concept of a fuel cell is quite simple, creating new designs and optimizing their performance takes serious work and a mastery of several technical areas. PEM Fuel Cell Modeling and Simulation Using Matlab, provides design engineers and researchers with a valuable tool for understanding and overcoming barriers to designing and building the next generation of PEM Fuel Cells. With this book, engineers can test components and verify designs in the development phase, saving both time and money. Easy to read and understand, this book provides design and modelling tips for fuel cell components such as: modelling proton exchange structure, catalyst layers, gas diffusion, fuel distribution structures, fuel cell stacks and fuel cell plant. 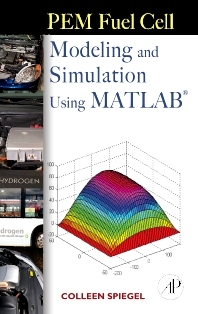 This book includes design advice and MATLAB and FEMLAB codes for Fuel Cell types such as: polymer electrolyte, direct methanol and solid oxide fuel cells. This book also includes types for one, two and three dimensional modeling and two-phase flow phenomena and microfluidics.